Bolide Software, a Multimedia Software Development Company, is announcing today a new upgrade for All My Books, its popular book organizer with further functionality expansion for visual display of book collection and advanced features for e-books and audiobooks collecting. All My Books introduces the newest version 1.8 where the opportunities for displaying book collection and functionality for handling e-books and audiobooks have been further expanded. Support for new book formats has always been a priority for developers of All My Books software and they succeed in this work. Max Smirnoff, CEO of Bolide Software, says "Due to rapid development of Internet and new technology advancements, new book formats for all sorts of cutting-edge electronic devices entering the market are being formed all the time. This has become rather trendy and the primary goal of any book organizing software company is to keep up with the times, with new demands and to be able to satisfy users' growing needs. 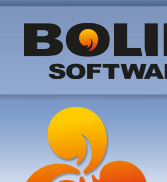 Bolide Software is trying its best to be in the lead". All My Books is a powerful book organizing tool for Windows which allows book lovers and book collectors to combine all their books into one great digital collection offering its users a plenty of nice options. Traditionally, the aesthetic aspect of displaying book collection is in the focus of developers' attention. Virtual bookshelf mode makes the software look just luxurious. In the program various book card templates are available so that every user's requirements could be satisfied. What is really striking about All My Books is that to say that the whole process is quick and easy is to say nothing actually. One of the program's devoted users writes about his first experience of working with the program: "I have an enormous personal library that I've been needing to get organized for years and this program is more than I could have ever hoped for! I eagerly jumped right in and began pulling books off my shelves and entering the data - thrilled with the speed and ease of the entire process". So, the program is really functional and provides several ways to add a book to collection: add using ISBN, adding from file and adding having typed in the title of the book. It's as simple as that. So with no user's efforts book cards are filled in, moreover, providing bright covers and all sorts of additional information as well including author, genre, series, publishing house, rating, year of release, book dimensions and even book review and sometimes comments on it. In addition to that, a user can create custom fields and enter own data. The program provides different variants of sorting and grouping the books; in addition, quick filters are a great help in terms of handling even gigantic book collections. Besides, in All My Books an opportunity is provided for to launch a book right from the program, local path to it being specified. No matter how large the book library is, finding a book in it is also a piece of cake. Extended search options allow taking into account several fields proving fast and accurate results in seconds. The program also offers wide opportunities for export and import of the database into different formats, sharing book library index with friends, printing out the list of books in an extremely presentable manner.